Collection Information *You MUST obtain a voucher at the iVenture Sales and Redemption Centres located at Westminster Pier (Westminster Pier, Victoria Embankment, London SW1A 2JH) and Julia Tours & Tickets (120 Southampton Row, London, WC1B 5AB). Please have your iVenture Card present. There are few landmarks so historic than Tower Bridge and this is your chance to step inside and see all the inner workings first hand, including a number of fascinating exhibitions. You’ll also be treated to spectacular views over the Thames, looking east and west, across the London skyscape. 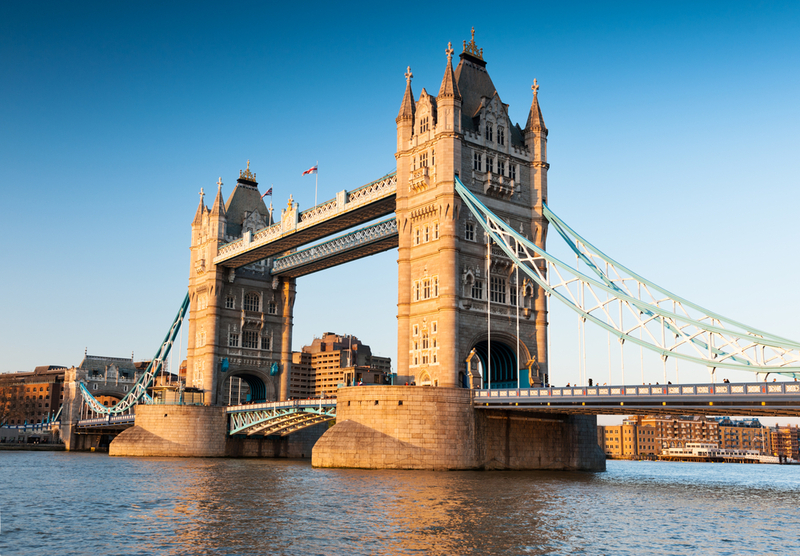 Upon arriving at the historic attraction, you’ll start your tour by following the ‘walk of fame’ where you’ll find out more about the famous people behind the history of Tower Bridge, as well as some of the unsung heroes. After that, you can step inside the engine rooms to see all the original cogs, wheels and pistons that, today, still elevate and lower the great bridge. To see a bridge lift in real-time, check the website for times. The best way to view a bridge lift is through the glass floor on the upper-level walkways, 42 meters above the River Thames, where you’ll also be able to experience incredible views across the London skyscape. The Tower Bridge Exhibition is a room hosting many artefacts from the long history of the bridge. It’s here you’ll be able to find everything about its design and build, as well as the story of the bridge from Victorian times right up to the present day. This includes details of all the weird and wonderful events that have happened in and around the structure along the way. Tower Bridge Museum is easily accessed through a number of transport options, including London Bus (numbers 15, 42, 78 and 100). Tower Hill is the closest Underground station and is accessible via the District and Circle lines. There’s also the option of arriving by one of the riverboats that stop at St Katherine Pier, Tower Pier, or London Bridge City Pier. Bridge lifts are subject to change up to 24 hours in advance, so it’s a good idea to keep an eye on the website for updates. While you’re there, keep an eye out for any special events happening in and around Tower Bridge. When planning your visit, allow time for security checks and lift access.